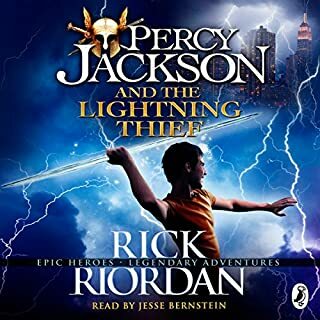 ©2008 Rick Riordan (P)2008 Scholastic Inc.
Would you listen to The 39 Clues, Book One again? Why? I downloaded this book for a long car journey with my children aged 17, 14 and 11 and my parents, in their 70's. We were all completely hooked. You learn a lot which makes it more interesting. The different character voices are very well done. 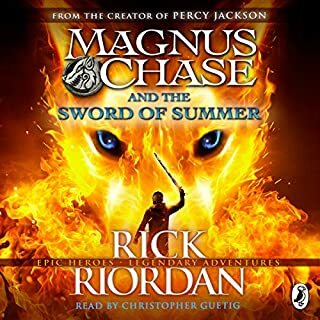 Where does The 39 Clues, Book One rank among all the audiobooks you’ve listened to so far? What was one of the most memorable moments of The 39 Clues, Book One? Throughout the book there is a subtle humour that appeals to both children and adults. My son (12 years): "wow, it is so good I don't want to get out of the car, I want to know what happens next". My daughter (14 years) "I can't wait for the journey back home (9 hours) so that we can continue with the clues". My husband "At last a book we can listen to in the car that is funny, easy to listen to and easy to follow!". 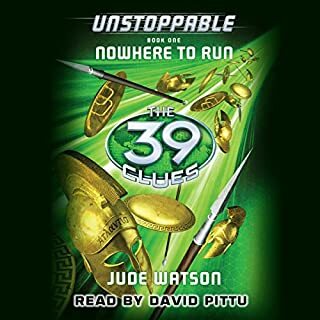 I really enjoyed the 39 Clues it's a very enjoyable audio book loved the narration, it made the characters come alive. 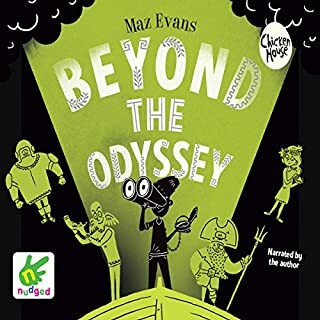 I came across this book whilst looking for something new for my 7yo to listen to. Naturally I listened to it before he did & found it very entertaining. The book is clearly written for a younger audience & there are parts that are quite obvious (to someone who has had more than a few 21st birthdays). That said, it doesn't stop you from enjoying the story & my 7yo is now half way through & giving the thumbs up. One word. Yes,only one word. Okay,more than one,but does it matter? I think this is AMAZING! What a fantastic book! It was full of adventure, educational tidbits and well described characters. 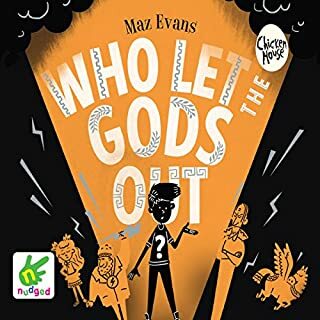 I will be recommending this book to the young people I teach! 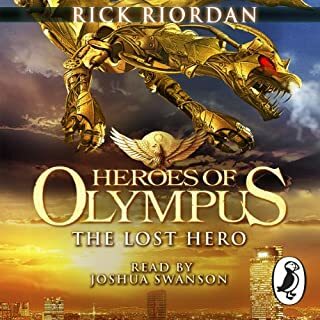 I cannot say more about Riordan than I will read anything he writes and my kids will also. If he wrote a post-it note list, I might just read that too. This is a very cute story and has some great ideas and twists. I just wish he had written the next few books in the series. I am now on book 4 and loving it. I didn't know it was a childrens book but have enjoyed so much anyway. There is lots of history hidden in the story and I will share this with my granddaughters. I wish it wasn't quite so much for each book as they are short and require many purchases. My daughter and I have been listening to this for the last couple of weeks with keen excitement. It has been wonderful to see her drawn into the historical elements, the rich language and vivid characterisations. Thoroughly enthralling! 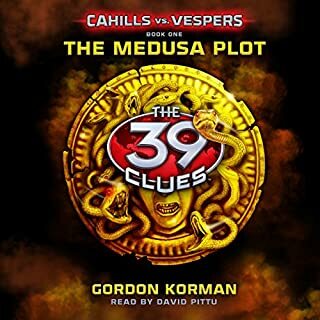 What did you like best about The 39 Clues, Book 1? What did you like least? It was a fun listen but when we saw it was 5 hours, we were shocked. The book just ended what I would say was about 1/3 of how long one of these books should be. Seems like you'd be into the series over $100 and no end in sight. My nephews have been living with me since the start of the school year and we`ve listened to so many books together. We`ve really enjoyed similar books like Stanek`s amazing Kingdoms and the Elves of the Reaches. 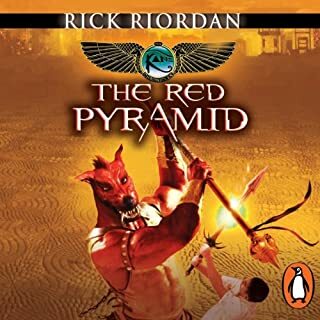 This is the first one we`ve read by Riordan and we all liked it. It has a similar mysterious and thrilling feel to it as Stanek`s books but more of a mystery than a fantasy. 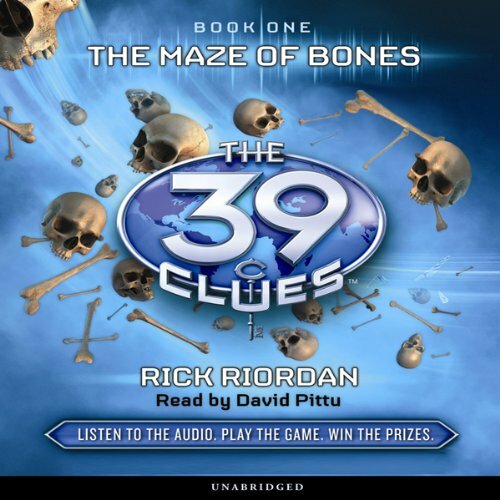 So I decided to listen to Book 1 of The 39 Clues, The 39 Clues: The Maze of Bones, despite all the criticism heaped on this series for being a "poorly concealed scheme to sell cards" or some such. And it IS the most contrived series I ever even tried to read. Still, since I like fantasy when it isn’t too depressing and violent, I like to give fantasies aimed at kids a try. Somewhere I read a description of the characters (other than our two main characters, Amy and Dan Cahill) as being “intentionally exaggerated caricatures”, which is clearly what they are, but that just makes me say, "Why?" Wouldn't normal characters have been more interesting? Like the family that all wears purple running suits and is "buff" and is always marching in formation with a snapping family pitbull at their heels. Was that really necessary? Amy and Dan are (of course) orphans and have an (of course) uncaring guardian. They did have their powerful and mysterious grandmother who loved them but it is her death that starts the whole series. Her will gives the heirs a choice between a million dollars and a clue which could lead to power/riches/something . There isn’t much to say about the book itself. It’s short and moves along quick as we follow the two kids in their quest for clues. I thought about reading the next one. I might have except that there are at least 11 of these and I don't think I could stand 11 books of Amy and Dan discovering a clue only to have it stolen from them by some nasty relative or other. 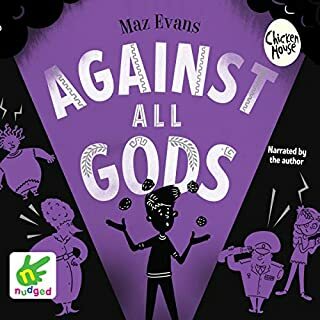 Not to mention - and I suppose this isn't an uncommon problem with books aimed at kids - but I found myself wishing the author would just decide if there is or isn't mortal peril here. Are these relatives really willing to kill Amy and Dan? They can't be - or they would just do it already. Yet, one must acknowledge, that rigging up a pit to open at their feet and sending guys to poor cement in it seems like a real threat. And their 11 year old cousin who is always slinking around with a gun full of poison darts seems a real threat too and the former KGB agent cousin. And yet, Amy and Dan live on, and aren't offended enough by their near death experiences to suit me. But the real problem is just knowing each clue gets stolen. Sooo frustrating. 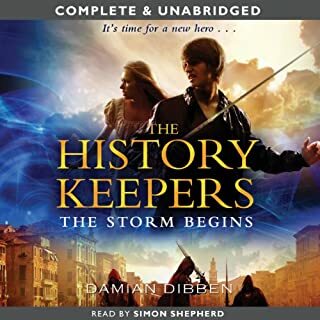 I was interested to see how things flowed when we got to book 2 and there was a different author, but not interested enough to actually waste an audible credit on it. 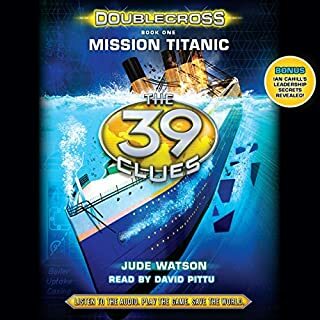 Would you listen to The 39 Clues, Book 1 again? Why? Listened while driving on a trip with my mom. 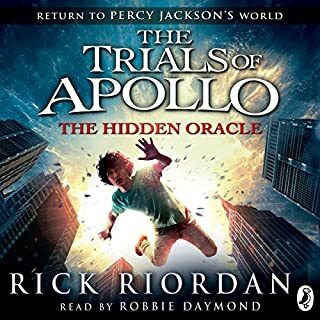 Love the way Rick Riordan tells a story and teaches us a little history. David Pittu does an excellent job narrating this book and bringing it to life. Hard to have a favorite character. Some are over the top while others are you relate to and see a bit of yourself in them. I do really like the boy in Dan; impressed with the fart study. Love that Amy, like so many young girls, does not see her worth but starts to believe in herself. I love the voices. He really brings the book to life. I liked him so much I looked up other books he has narrated. Yes, couldn't wait to get the chance to listen to more of it. Was sad when it ended and I hadn't purchased the next book. Even the adults enjoyed this! Absolutley! Great narration, and a gripping plot with mant twists and turns. I was surprised how much the adults in the car enjoyed the book... as much ( or even more than!) the kids! The reader was very entertaining. It kept my 9 & 11 year olds very engaged. Now we are reading the second book. He is great at changing his voice. Yes, but we used it on a long car ride.